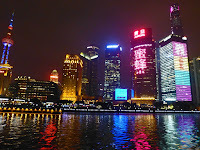 I’ve been looking forward to Shanghai - the world's most populous city (24 million). It’s a city I've read a lot about – rich in history, particularly during the last two centuries. Britain, America and other European countries built and maintained satellite communities or "concessions" where they rules for nearly a century (1841 – 1941. Today you can still see that “western architecture” in various areas of Shanghai. It’s sort of like going back in time – like visiting Cuba - without the old cars. Since it’s going to be impossible to see even a small amount of Shanghai in one day, the guides has come up with a novel approach – they’ll give us an overview – literally. To that end we are whisked to the top of the recently completed Shanghai Tower – the highest skyscraper in Asia and currently the second highest building in the world (behind Dubai’s Burj Kalifa.) The deck was only officially opened six months ago. As always, it’s a good news bad news situation: the good news is the half a kilometer high view potentially offers a spectacular 360 degree view of Shanghai and its environs – the bad news is low clouds, and smog have drastically reduced the view. Still it’s impressive. 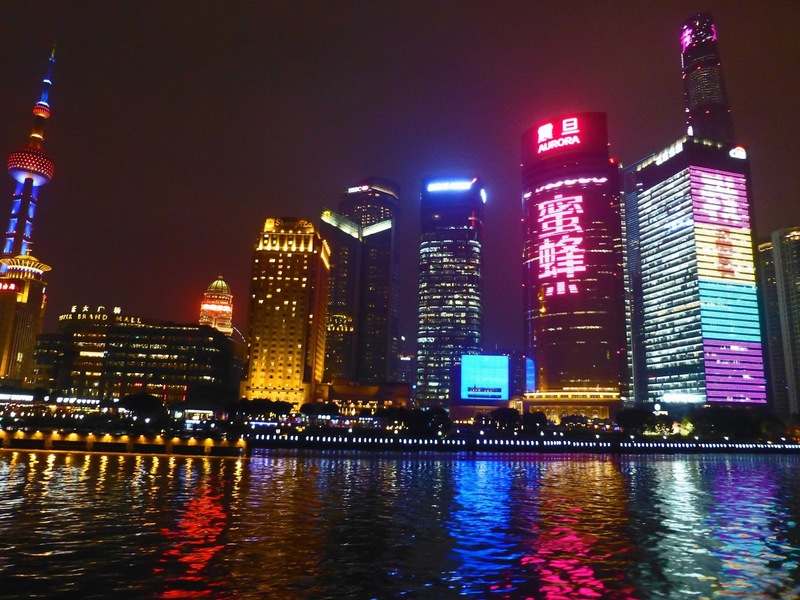 The final item on our day in Shanghai is a night cruise along the Shanghai waterfront. By the time we arrive at the docks the drizzle has given way to a steady cold downpour. We find ourselves in a long line waiting to get on board our “boat.” In fact the lineup is so long that “boat people” would probably decline getting on board. By the time we’re on board every possible seat is taken and we’re reduced to standing on an open observation deck if we hope to see anything. I find an area near the rail and set about defending it vigorously. The view of the buildings is absolutely mind blowing. Each Skyscraper (and there are dozens of them) compete in complex brightly colored light shows along their exteriors. The display was worth whatever discomfort was encountered to experience it. It ranks up there with the Great Wall and the Terracotta Warriors - for me it’s as a must see sight. At the end of an hour the boat docks, and the way the passengers push and shove to exit the vessel you’d think we've hit an iceberg and are sinking. I come up with a cunning pan only an inscrutable Western mind could conceive. I gather our small group on the observation deck and suggest that we “wait till the crowds leave the ship," then simply walk off. We wait five minutes for crowd below to fight their way off the vessel then saunter off. I should mention the “wait” strategy only works in Asian countries. Don’t try this at a Jewish wedding or bar mitzvah where the invitees compete to be the last one to leave. Wet and cold we board the van and head back to our hotel to warm up, have a light dinner and prepare for our last day of the tour. Today’s our last full day In China. We get up early to try to avoid the expected heavy traffic on our trip to Suzhou. We were originally slated to take a bullet train traveling over 300Km/hr to Suzhou. But for some vague reason the Bullet Train was taken off the itinerary and replaced with a van ride. It’s the beginning of a big holiday weekends in China. In North America we celebrate Labor Day, Christmas, Thanksgiving and the big one – Spring Break. Here in China it’s the Qingming or “Tomb Sweeping Day,” and the roads are packed with cars with brooms and mops strapped to the roofs as they race out to tidy up their ancestors’ graves. I asked Feng if there’s a chance we might see a flash mob do the Chinese rendition of the Zombie Dance from Michael Jackson’s Thriller. In any event the roads are packed and it takes us over an hour just to get to the outskirts of Shanghai. By the time we arrive in Suzhou it’s been a little over two hours. The Bullet train would have taken just 22 minutes. Suzhou is known as the Venice of China. I suppose my old home city of Richmond could be considered the Suzhou of Canada. It has a huge Chinese population and a lot of ditches. I’ll suggest it to the city council when I get back. can you believe silk comes from these? Suzhou found in 514 BC and is a small city by Chinese standards of only 4.33 million. Besides the canals it’s the place to go to buy silk. And by some strange coincidence a silk workshop is our first stop on today’s schedule. During the trip Billy, our local guide, explains we have to be careful buying silk products as many of the cheap items are not actually silk, but are polyester. Billy goes on to trash Polyester for the next 60 or so km. I decide someone needs to speak up in defense of polyester. I had four uncles who looked pretty damn spiffy in their polyester leisure suits and white shoes sitting around the pool in Palm Springs. Nothing wrong with polyester – it lasts forever. At the silk workshop we’re given a rapid demonstration of how silk is produced- starting with a particularly ugly looking little worm, through the silk cocoon and finally to the overpriced luxury items. I succumb to peer pressure and purchase a small silk print for forty dollars. I’ll tell my wife that’s it’s polyester and I only spent $1.49. After the silk factory it’s off to yet another garden. I have to admit I’m getting gardened out. Yesterday it was the Yuyan Gardens in Shanghai and today it’s the Lingering Gardens in Suzhou –I rename it he MaLingering Gardens. It may because we’re looking at gardens in early April – that nothing is in bloom. But then again there isn’t much to bloom in this particular garden. It’s basically a rock garden built around murky reflecting pools that don’t reflect much. Perhaps I should return in summer when the algae will be in full bloom. “What do you call them?” he asks. Undaunted Billy leads us over to plaza overlooking a large Pagoda. I’m not terribly interested until he mentions this particular pagoda is the “Celestial Hall of the Five Pigs.” Suddenly my ears perk up - finally something interesting! 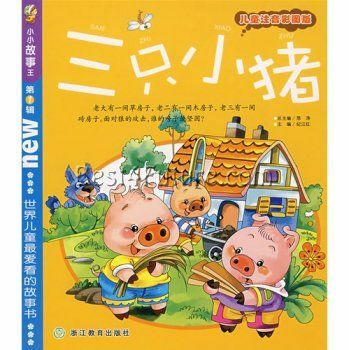 Did the European version of the Three Little Pigs actually have an earlier Chinese version where there were actually five pigs? It boggles the mind! There might be a Pulitzer Prize in this for me. I need to find out more. I wave my hand to get Billy’s attention. “It’s the Celestial Hall of five PEAKS, not pigs,” he corrects, looking at me like I’m a complete idiot. What is even more disconcerting is Jane who begins making pig noises behind me. which she did for three annoying days on the bus. On day four the pig mysteriously disappears. We’re not sure whether Feng confiscated it or the chopstick challenged Scots ate it. misunderstanding when Jane starts making pig noises in my ear. What’s even more disturbing is I’m not entirely sure WHY she’s making the noises: is it to embarrass me? Or is she’s getting turned on by all this talk about pigs? In any case I’m glad I won’t find out as we’ve only got a few hours left on the tour. The final event of the trip is a cruise down Suzhou Grand Canal. Billy tells us these canals were once major economic thoroughfares but now they’re basically back alleys where you get scenic views of laundry hanging in the backyards of homes. Think of it as the Chinese version of “It’s a Small World” without the charm and the music. I’m not sure it’s grand and more like a ditch than a canal. Still it was a pleasant enough way to while away an hour. Was it worth it? 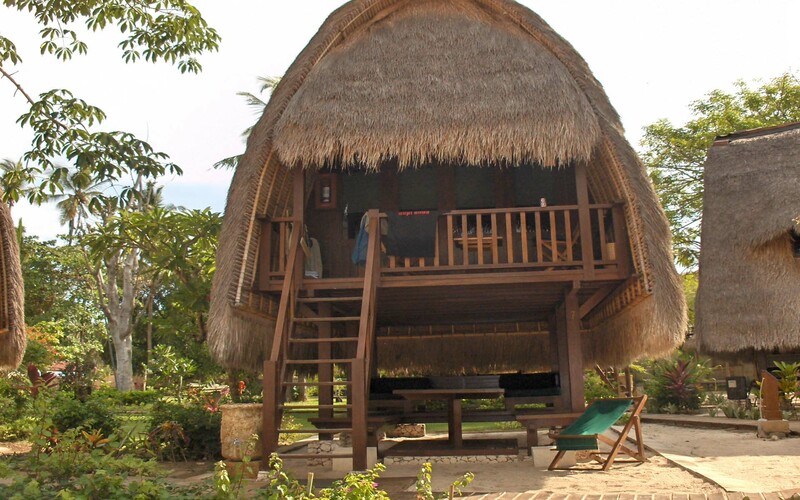 Yes, despite my carping I had a great time, met some great people, and with the exception of Castle Dracula, the accommodations were excellent and the food, for the most part, excellent. The guides were first rate with the patience of saints (particularly with me!). If you want to see the main attractions of China and you have a limited time, I highly recommend this particular tour - you’ll enjoy - I did. Remember travelling is an adventure and you have to keep a sense of humor about the little missteps and things that don’t always go your way. If you fret and worry about them you’ll end up missing the good times. If you have any questions about the trip feel free to email me.